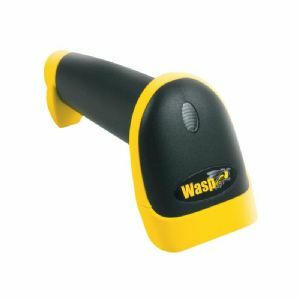 The Wasp WLR8950 Long Range CCD barcode scanner is a cost effective, easy to use, long range scanner designed for retail, point of sale, or any repetitive application where time and accuracy are important. With an ABS plastic construction and pistol grip design, the WLR8950's lightweight, ergonomic form factor makes it comfortable for prolonged daily use. Durable construction allows for multiple 6" drops to concrete - easily eliminating downtime due to breakage. Efficiently and accurately read 1D barcodes up to 12". In addition, the WLR8950's bi-color, dual LED light source allows you to automatically change light sources between red (traditional barcode scanner technology) and green enabling you to decode a red barcode using the green light and green barcode using the red light. For tough to read barcode labels, the WLR8950 can easily scan barcodes with a Print Contrast Ratio (PCR) as low as 30%.